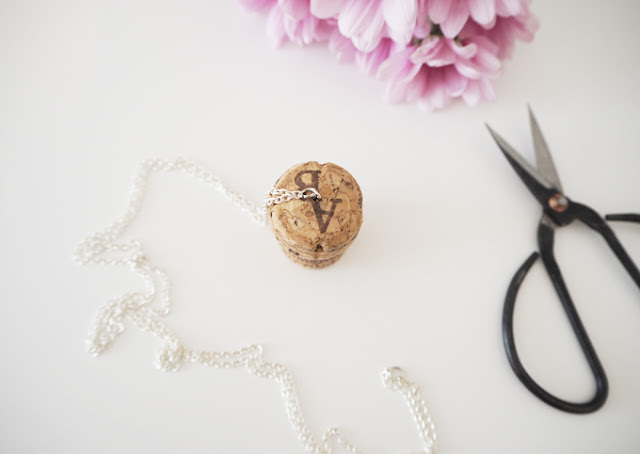 Whether it’s a wedding gift or graduation present you are looking for this easy DIY is the perfect keepsake to commemorate that special occasion this summer. 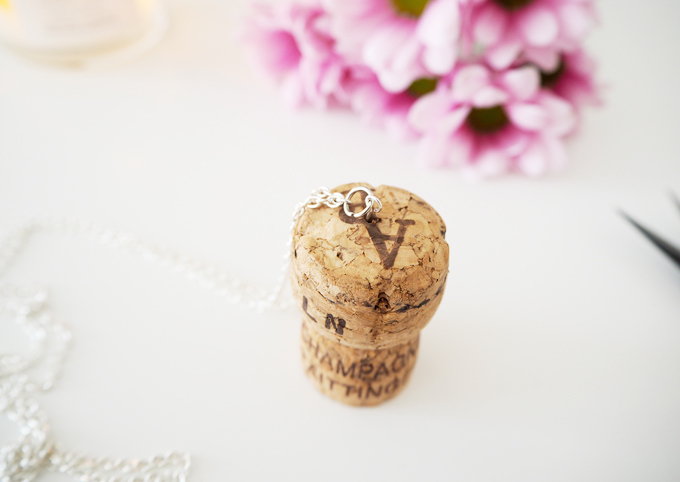 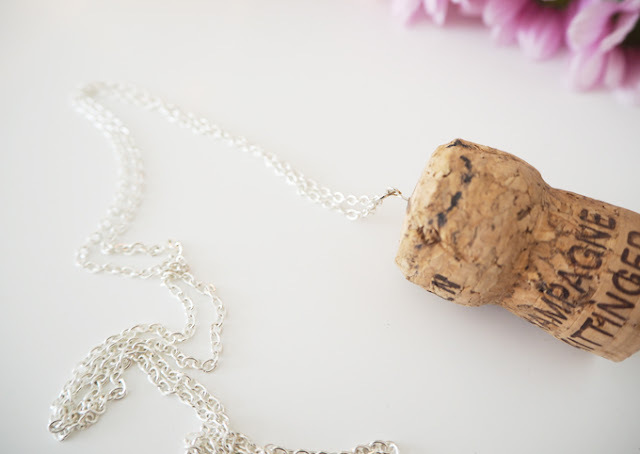 If you are using an old necklace all you need is the head pin to attach to the cork. 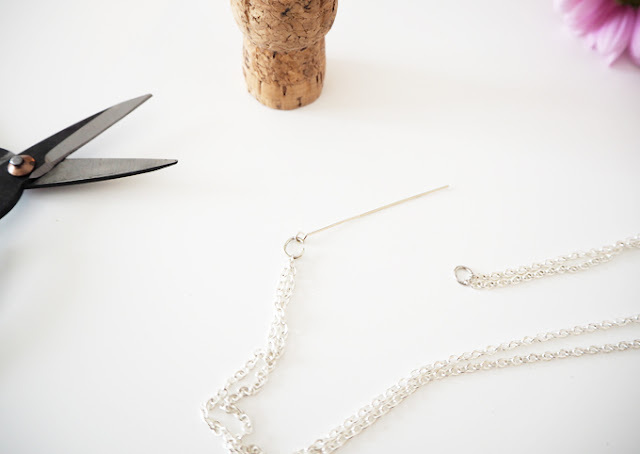 Start by joining the two ends of your necklace chain with the first jump ring using pliers or scissors to close the loop. 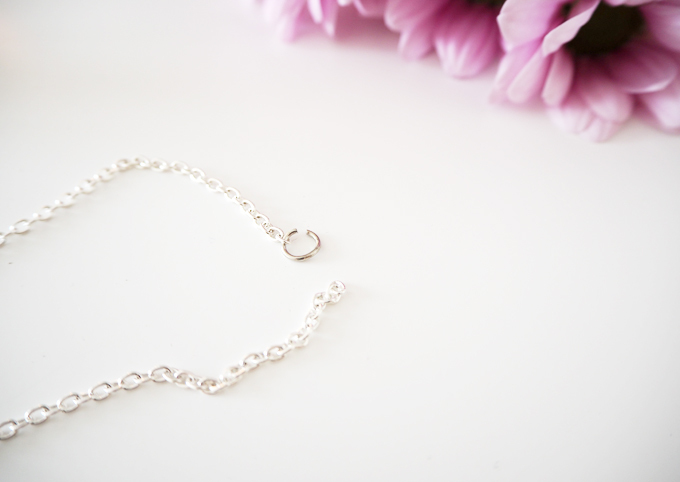 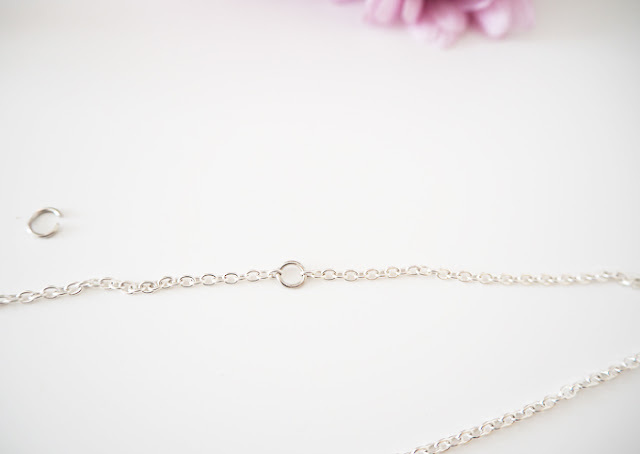 Hook the second jump ring into the link directly halfway around your necklace chain. Before closing this loop attach the head pin in the loop and close in the same way. 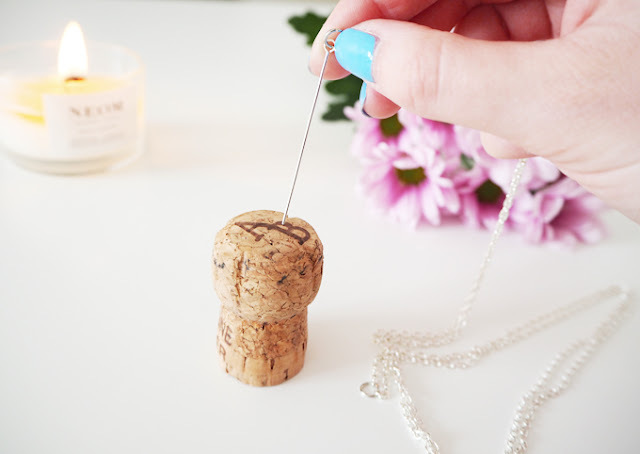 Insert the pin head into the top of the cork until the loop is flush with the top of the cork. 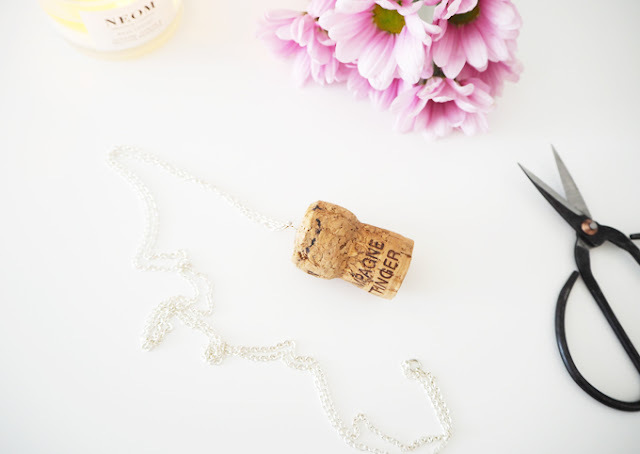 Making a slit or hole in your cork using a needle or knife first will make it easier to push in. 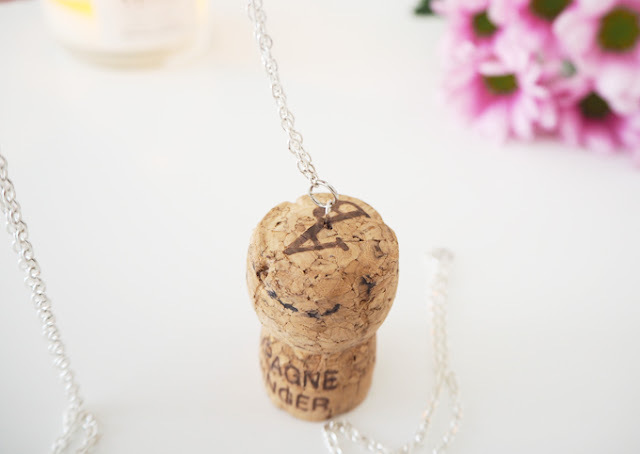 You can also use a small screw or picture hook like these to attach the chain into the cork. Check the pin is stuck in enough to hold the weight of the cork, you can secure with a little super glue if needed. 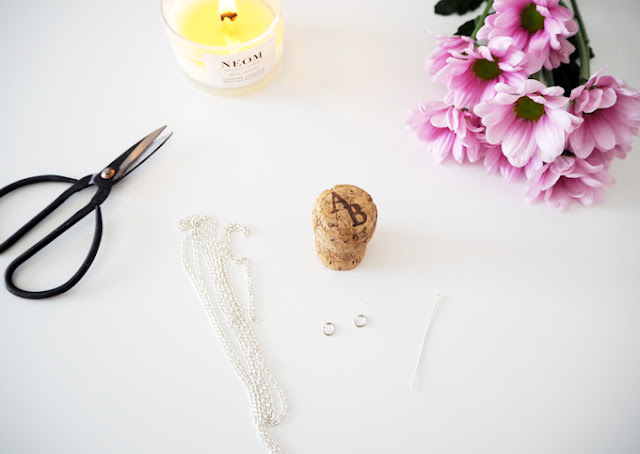 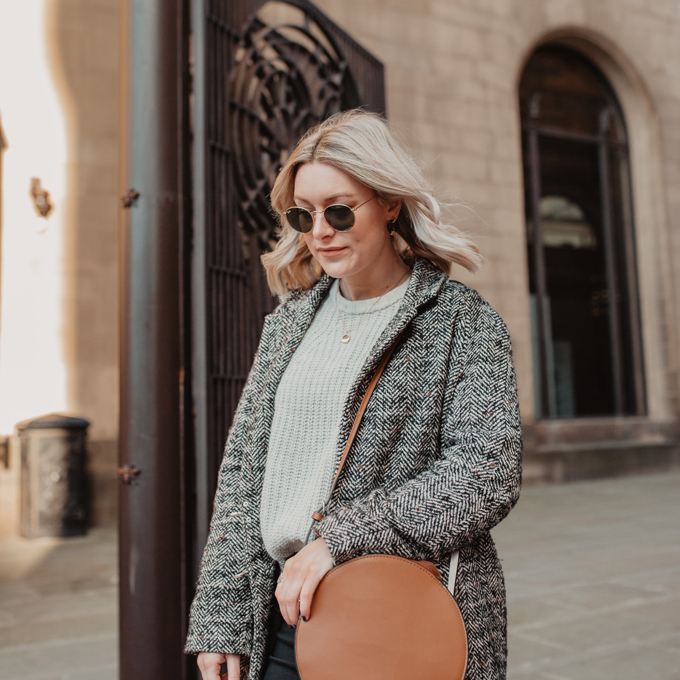 So if you are looking for a thoughtful gift or just want a way to remember a special day, this little DIY is super easy and quick make. 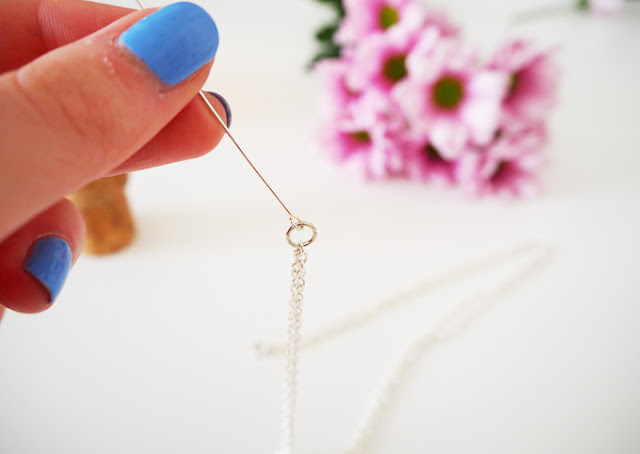 Why not try with some cord or ribbon too? 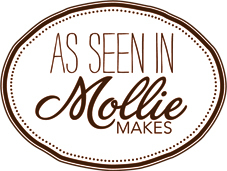 Follow me on Instagram and pinterest for more DIY ideas!